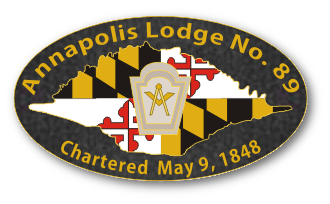 Annapolis Lodge is home to both York Rite and The Order of the Eastern Star. For more information or to contact these collateral bodies, email info@annapolislodge.com. The Eastern Star represents both the men and women of the fraternity. Meets 2nd Tuesday of each month at 8 pm. The Chapter degrees provide “the rest of the story” and takes the Master Mason through its degrees to complete his journey to becoming a Royal Arch Mason. Meets the 2nd Monday of each month at 7:30 pm. The three degrees of Cryptic Masonry provide additional light to the Royal Arch Mason. Meets the 2nd Monday of each month at 7:30 pm. The Knight Templar is a Christian Order in Freemasonry and instructs today’s Templars to revere its lessons and maintain chivalric honor. Meets 4th Monday of each month at 7:30 pm.